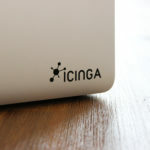 This release fixes a problem when using recurring downtimes (“ScheduledDowntime”) causing Icinga 2 to crash on startup. There are further fixes for old compilers on Debian Squeeze, Ubuntu Precise and RHEL 6. The API setup wizard does not overwrite existing certificates anymore. The node setup wizards also incorporate the NodeName and ZoneName constant by default, not the previously used FQDN. The ITL CheckCommand ‘running_kernel’ now allows you to optionally use the ‘running_kernel_use_sudo’ attribute. One further addition are global constants to fetch PlatformName. PlatformVersion, PlatformKernel and PlatformKernelVersion. A common problem which we’ve analysed in our community support channels is the usage of existing SSL certificates with the Icinga 2 API. In case you are encountering the SSL error “SSL3_READ_BYTES:sslv3 alert unsupported certificate” when querying the API using curl or a modern browser, please ensure that the host’s SSL certificate version is 3, not 1. More details on the mailing lists. Icinga 2 v2.4.1 packages should be available soon, meanwhile make sure to check the Changelog below.